DUI ― Michigan’s anti-drunk and -drugged driving laws provide for a mandatory driver license suspension if you are convicted of DUI. Depending on the severity of your charge, this suspension can last for six months to a year, although in most circumstances you are eligible to receive a restricted driver license a month or two into the suspension. For repeat offenders, the law imposes stricter terms of suspension and potential revocation of your right to possess a driver license. 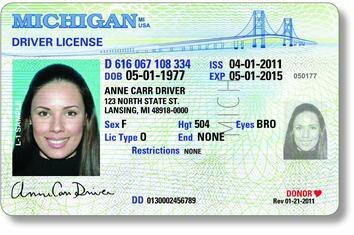 Refusing to take a chemical test ― Apart from the penalties accompanying a DUI or related charge, under Michigan’s Implied Consent Law, drivers may also face a license suspension by refusing to take law enforcement’s chemical test designed to identify the presence and level of drugs or alcohol in one’s system. This suspension can run from one to two years, depending on prior history. Juvenile offenses ― When undertaken by minors, certain activities may result in a license suspension, such as transporting or possessing alcohol in a vehicle or attempting to purchase alcohol with a fraudulent form of identification. Felony offenses ― When a vehicle is involved in certain felonies, a driver faces potential license suspension; for the most serious felonies, such as manslaughter, negligent homicide, or murder, license denial or revocation can be imposed. Failure to appear ― If you have received a traffic citation and failed to appear in court, or you failed to comply with an official court order, your license could be suspended. Helping restore your driver license privileges following suspension If your driving privileges have been suspended or your driver license revoked, having it reinstated as soon as you are eligible can be an important step in getting your day-to-day life back on track. The process of reinstatement is not automatic and may involve the submission of complicated documentation and a hearing. Furthermore, reinstatement fees apply. Our defense attorneys have been helping clients through this process for decades and we can help you too. Getting you on your feet and back into your vehicle. Life can change drastically after you lose your driver license; not having the ability to drive can impact your job and family.